Located in the heart of the Sheraton Grand London Park Lane, The Palm Court is just one of the original features of the hotel from when it was completed in 1927. The tapestries, marble floor, stunning ceiling details all date back to this era, surrounding you with Art Deco features. The bar is also completely original and takes you back in time to the prosperity of late 1920s London. Served in this iconic space, experience the award-winning Lock & Co. Afternoon Tea with its finely crafted hat-shaped pastries. Open all day for a light breakfast, lunch and dinner, The Palm Court is the perfect place to connect in the heart of Mayfair. Traditional Afternoon Tea experiences, all day dining and more. Experience the award-winning Lock & Co. Afternoon Tea with finely crafted hat-shaped pastries, served in the iconic Palm Court. Relish these stunning art deco surroundings while enjoying one of the best traditional afternoon teas in London and listening to the relaxing sounds of the daily harpist. 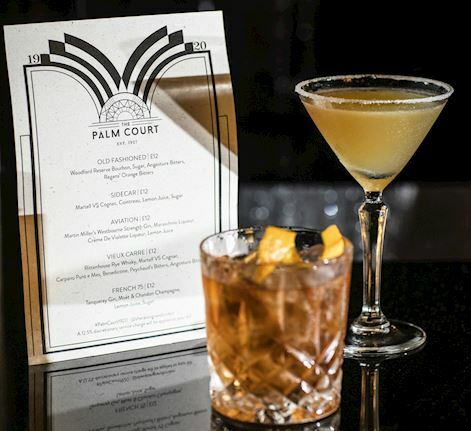 Each Wednesday night, when the clock strikes 19:20, The Palm Court lounge transforms into a Roaring 20s party with a Great Gatsby-esque party atmosphere, for just one magical hour. 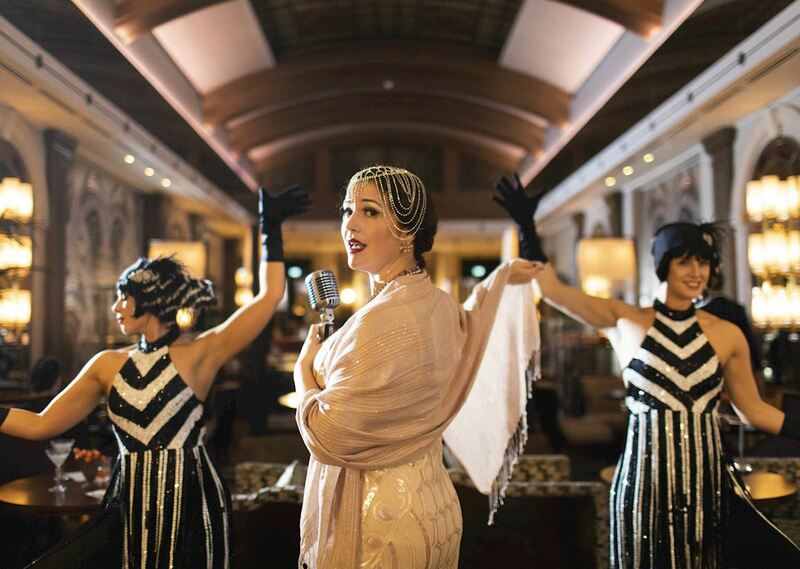 Immerse yourself in the glamorous spirit of the 1920s, enjoy stunning live performances of vintage 20s songs, Charleston dancers and classic drinks reminiscent of the Jazz Age.